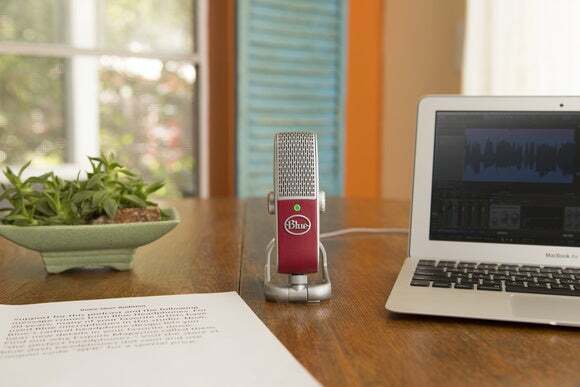 This portable powerhouse can record music, voiceovers, and podcasts to your Mac, iPhone, or iPad. As our mobile devices continue to evolve into the central hub of our digital lives, we want to expand on their capabilities by adding a keyboard, stylus, or other accessory. And if that accessory can be used with more than one device, so much the better. 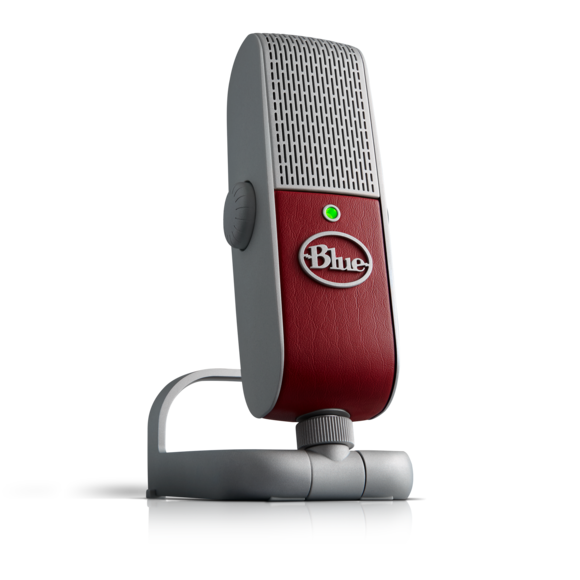 In that vein, Blue Microphones developed the Raspberry, a portable microphone designed for use with a computer and iOS devices. Admittedly, I’m not an audio expert, but I’ve found the Raspberry a joy to use. It’s small, super portable, captures quality audio for podcasting, voiceovers, YouTube, and even music—and it looks downright cool. 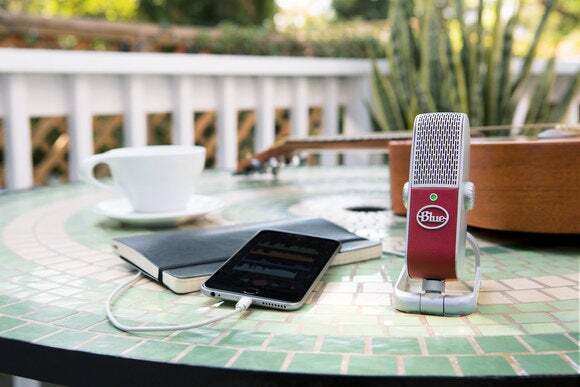 The microphone looks like it’s out of an old black-and-white film, and comes with a collapsable stand, making it easy to fold up, stash in the included carrying case, and toss in a backpack. You can remove the Raspberry from the stand and attach it to any standard 1/4-inch threaded mount. On the back of the Raspberry you’ll find a 3.5 mm headphone jack to monitor audio, as well as a microUSB port used to connect the mic to a computer or mobile device. On the sides of the mic, you’ll find knobs to control the mic’s volume and the volume of your connected headphones. A status light front and center lets you know when the Raspberry is powered on, muted, and if there’s anything wrong. Construction of the mic feels sturdy, as if it can take a bit of mishandling in a backpack. It is, after all, designed with mobility in mind. Blue includes a microUSB-to-Lightning cable to connect the Raspberry to an iPhone or iPad, as well as a standard micro-USB cable to use with your Mac or PC. 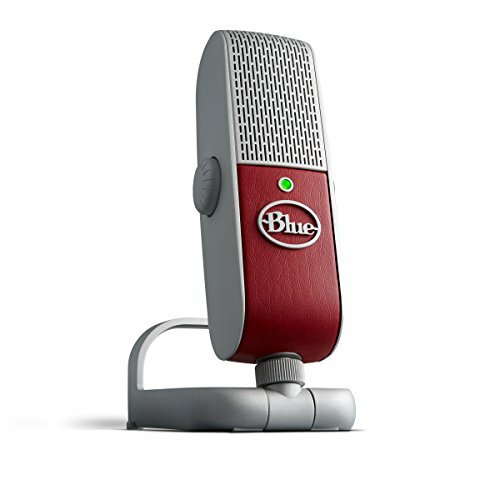 You don’t need extra software for the mic to work with your computer, and in some regards with your iOS device, but more on that in a minute. Raspberry is meant to use on a tabletop, and it comes with cables to connect to a computer or an iOS device. Blue doesn’t yet list the iPhone 7 line as a supported device, and while I couldn’t get the mic to work with the Voice Memos app, I had no issue using it with an iPhone 7 Plus and GarageBand. I also used it with a 12.9-inch iPad Pro, which is listed as a supported device, and it worked as expected across the board. The above apps (and potentially others in the App Store) are capable of recording “high-quality” audio, where as Apple’s Voice Memos app records at a lower bitrate than the Raspberry’s 24-bit recording capabilities. The Raspberry also isn’t designed for handheld use. Instead, it’s meant to remain stationary on a table or desk. This was a little disappointing to me, as I initially hoped to use it to record interviews at tech events. However, I could see myself getting some video footage of a hands-on demo, and then using the Raspberry to record a better-quality voiceover track after the fact, to replace the audio captured by my phone. Currently priced at $199, the Raspberry isn’t cheap. It’s $70 more than the basic Yeti, but the added cost comes with the added benefits of portability and seamless iOS compatibility. Should you buy one? That depends on your setup. If you’re frequently on the road, you use both a computer and an iOS device to record, and you’re usually seated when you do, then the Raspberry is worth a look.